Durrrr d duur durrrr durrrr dur dur durrrrrrrr, Yes your’e absolutely right, that was the Game of Thrones theme tune! 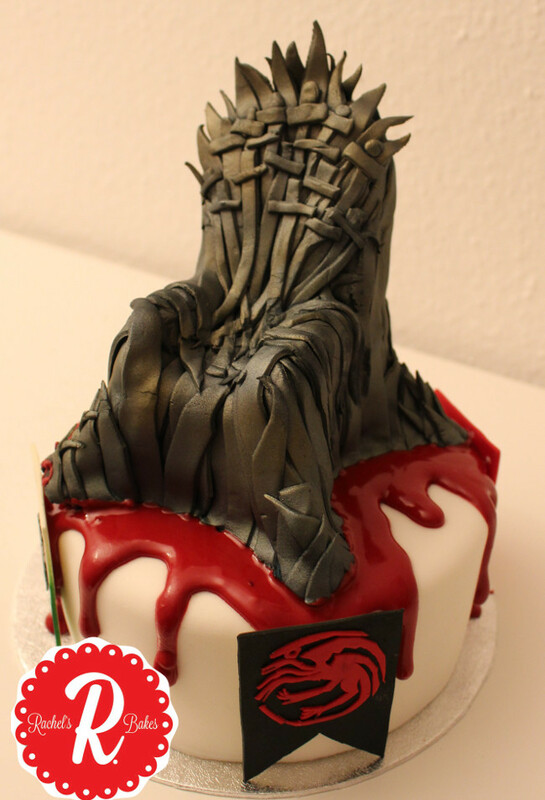 The most challenging part of this cake was not the throne, it was not the intricate sigils on the side, it was creating the most realistic, yet not unappetising, blood for the top. 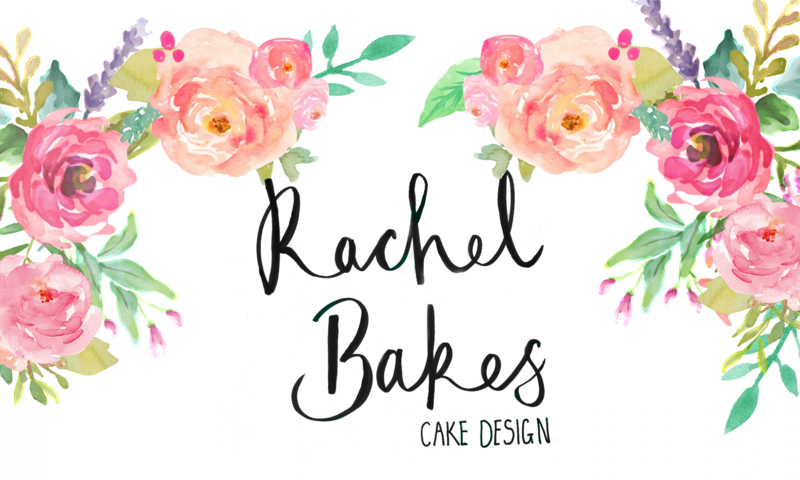 My original plan was to use icing with added glycerine to give a shiny texture, however I often forget that I live in Germany and you can’t just buy that from the shops… and unfortunately for me I had left it a little too late to order online. So my alternative had to just be royal icing,I chose this as it would also give a nice shiny finish. 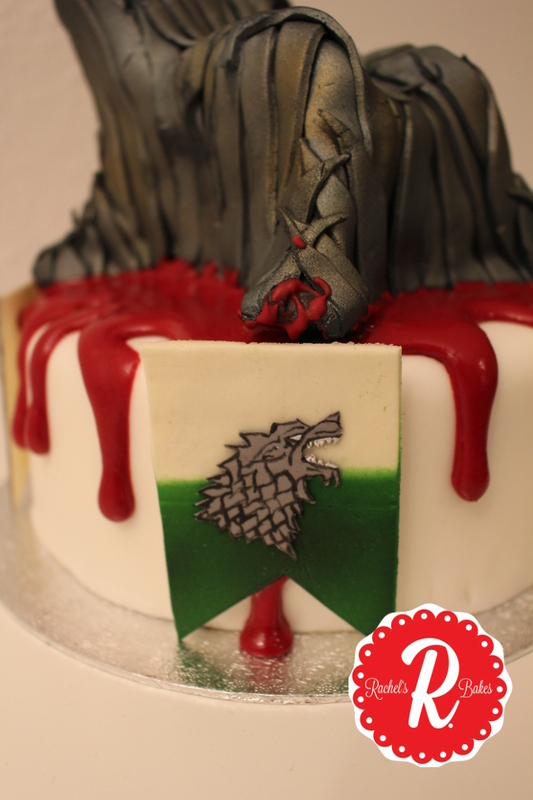 Around the 4 corners of the cake (Yes I know a round cake has no corners but you know what I mean) Were the house sigils for the 4 main houses of the first couple of series- Stark, Lannister, Targaryen,and Baratheon. 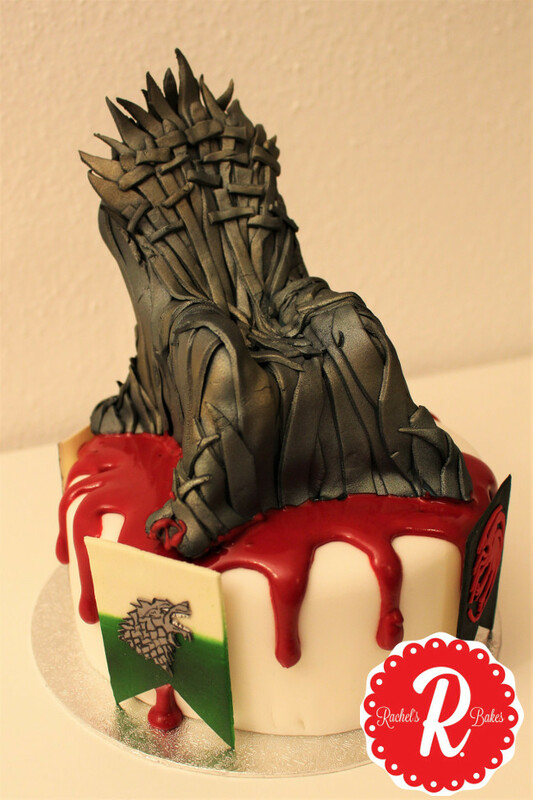 These were all hand cut which was a small nightmare when it came to the Targaryen dragon.